A turn-key solution for your online business, featuring email marketing integration, social media sharing, landing pages, online store, email opt-in plugin, and a lot more. Built with a professional theme, with an easy-to-use visual builder and SEO, ready for you to enter your own content. 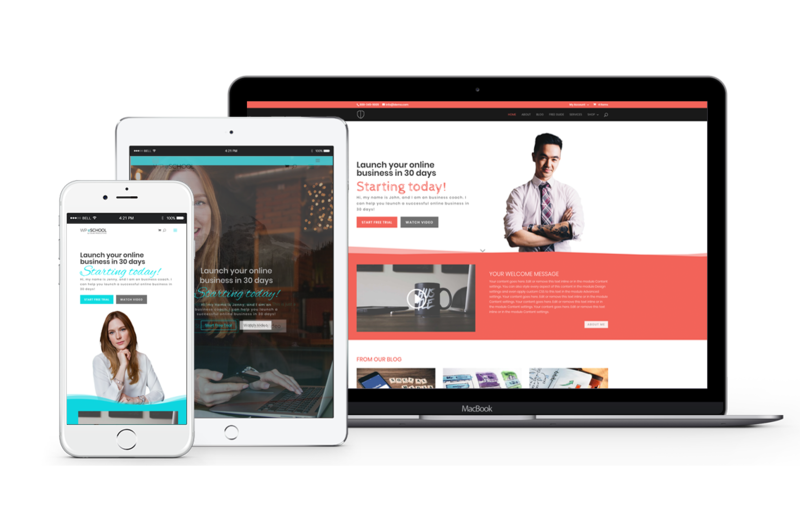 A turn-key WordPress website for your online business with email marketing and social media integration, online store integrated with PayPal and Stripe, pre-deisgned pages, ready for you to plug in your own content. Installation and set-up of the WordPress-powered website on the server. Built with the best WorPress theme on the internet, featuring easy to use front-end visual builder. 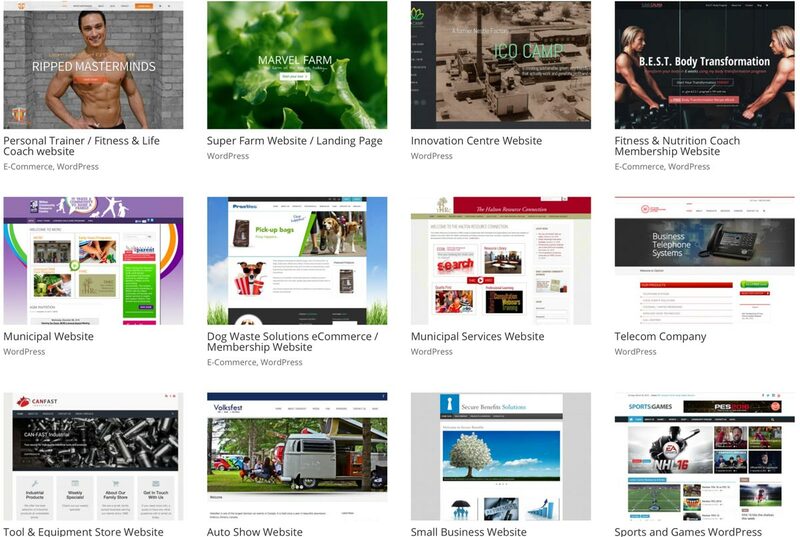 Professionally designed pages, ready for you to plug in your images and content. Premium plugin for online marketing integration. Build powerful landing pages that convert your visitors to clients. Start making money by selling physical, affiliate or digital products with your own online store. A plugin that will improve your ranking with search engines through Search Engine Optimization (SEO). Track the performance of your website through Google Analytics and Facebook Pixel integration. With a purchase of the WordPress website from us today, you will receive FREE hosting from us for 3 months. Your website will be hosted on a powerful, fast server, with the performance better than any shared hosting you will get anywhere else. After or during FREE trial period, you are completely free to move the site to another hosting provider if you wish. If you choose to continue hosting with us after the FREE trial period expires, our monthly hosting fee will be $9.95 per month plus applicable taxes. You will also get access to the PRIVATE FACEBOOK GROUP where you can ask questions, share ideas and tips with other members of the group (we will monitor the FB group and provide updates and feedback, share ideas, tips and tricks with the community). Below is the list of items for which you will be responsible after purchasing our WordPress Website. You will be required to register your own domain name and hosting account. Don’t worry, it’s very simple. We will send you step-by-step tutorials on how to do this. IMPORTANT: Currently, we are offering a FREE 3-MONTH HOSTING promotion. So, if you buy today, you only need to purchase a domain name, and we will take care of the rest (please read all the details of the promotion above). We will provide you a pre-designed, fully functional website with “dummy” content (Same as the demo below). You will be responsible for entering your own text and images to the pre-designed pages (video tutorials will be provided to you explaining how to do it, step-by-step). STEP 1: Buy your WordPress Website from us today. You will receive a welcome email and access to your account with easy-to follow next steps. STEP 2: Register Your Domain Name and give us access to it so we can set up your website (video tutorials provided). STEP 3: We will set-up your new WordPress website and deliver it to you within 48 business hours from the time STEP 2 was completed. The website will include all the pre-built pages that you can see in the demos. Your website will be built with a fully licensed professional theme that includes lifetime of updates. STEP 4: You will replace the “dummy” text and images from our pre-built pages with your own content and “launch” your website. Easy-to-follow video tutorials will be provided to you, and you will get access to an exclusive, private Facebook group where you can ask questions and share your ideas with our techs and other members of the group. Check out the demos of the website you will be getting. The website is FULLY CUSTOMIZABLE, and the sky is the limit of what can be done with this powerful, easy-to-use theme. For Enterpreneurs, Small Businesses, Personal Trainers, Bloggers. Full-screen front page, Promote a product or service, Small Business. E-commerce, Online Shop, Businesses selling virtual or physical products. Here are just a few examples of our satisfied clients. Need more? We’ll gladly provide you reference. Just ask. If for any reason you do not like our service or product we provide you, we will do everything in our power to ensure your satisfaction. If a satisfactory solution cannot be reached, we will refund your money, no questions asked. Get in touch with us and we will be happy to answer any questions you may have.